Paynesville – Despite one of the musicians who sang “Bring our Container Back” arrest and subsequently released, Augustine Ford alias AFo4Doe says they are not frightened by alleged Government censorship. 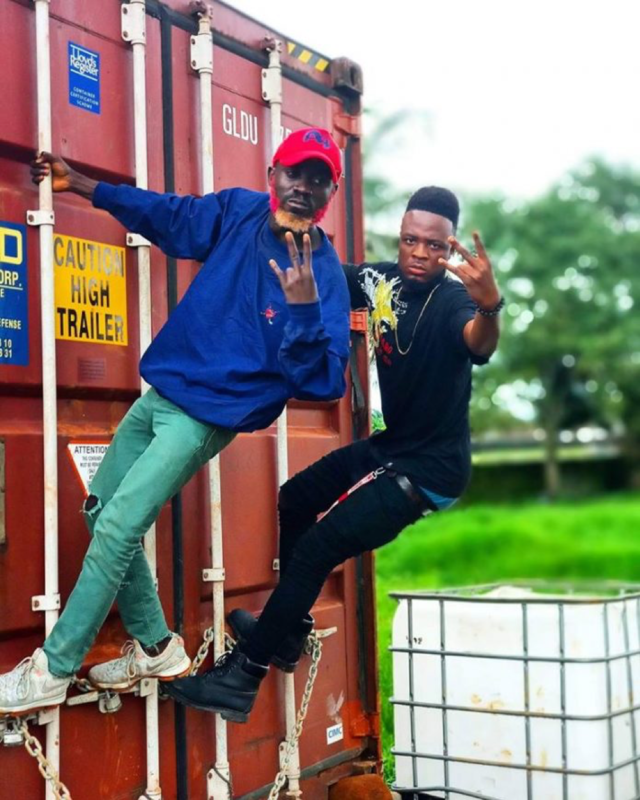 The ‘Bring Our Container Back’ song done by AFo4Doe and Skinny boy Kpanto criticized the past and present government’s, handling of the money, corruption in government. In an interview with FPA, AFo4Doe, the producer and one of the rappers on the song said the song was sung as a way of documenting that Liberia’s container of money got missing. “This time around we will talk about this issue but it will be recorded through music since we are musician we will talk about it through music and even if the government doesn’t give account, a record will be there, he said. AFo4Doe narrated that the song is not for or against the government but the masses who want the missing container back. AFo4Doe clarified that the song is done with broken English for uneducated Liberians to know that a container of money got missing. “So, we said to bring the container back because when we see the container, then we will believe that actual money in it, once the container is brought back we will ask them for evidence. AFo4Doe said the song is meant to for justice to serve for once in Liberia. According to him more songs will be done as a way of protest if nothing is done. Additionally, AFo4Doe wondered why some Liberians will feel aggrieved about the song. Meanwhile, on Sunday, August 23, 2018, AFo4Doe was arrested at the junction of President George Weah Junction by police officers. “I’m still trying to understand why I was arrested when I did nothing wrong. Kpanto and I, the other guy who raps on the song, were heading towards my house when the police assigned at President’s house junction stopped the bike we were stopped for what they claimed was a violation. The rapper and producer added immediately after his introduction, one of the police officers began insulting him for making the song, something which he told the officer was unnecessary and unprofessional. He continues, “Kpanto was chased by officers but was not arrested but he had the phone that I recorded the saga on, the officers took the phone and deleted the recording I did. AFo4doe said the police report circulating that they were intoxicated and behaved rudely is totally made up. AFo4doe also added when the insult intensified, he took his phone and started to record the situation—a move that angered the police officers on guard that night and resulted in the tussle over the phone and his forceful arrest. “When I refused to give the phone in order for them to delete the video, the police officer who started the insult ran to me and started to squeeze my hand to get the phone but he was unable. “Since the pains were becoming unbearable, I give the phone to Kpanto to run with it. Unfortunate they were able to get hold of the phone after it dropped from the artist while they were chasing after him. They deleted the video; however, since I was online, the video was not completely deleted,” AFo4doe added. After deleting the video, the police officers decided to arrest me for trying to record them and took me to the police station and place me behind bars. He was released early Sunday morning after he was arrested by 1:00 AM. Meanwhile, AFo4doe has threatened to sue the two police officers who assaulted him during his arrest, which has resulted in body pains. He said the Police violated his right and the arrest and subsequent incarceration were meant to disgrace him. AFo4doe is also the manager for Holy records who said the pains inflicted on him is embarrassing and must not go free. 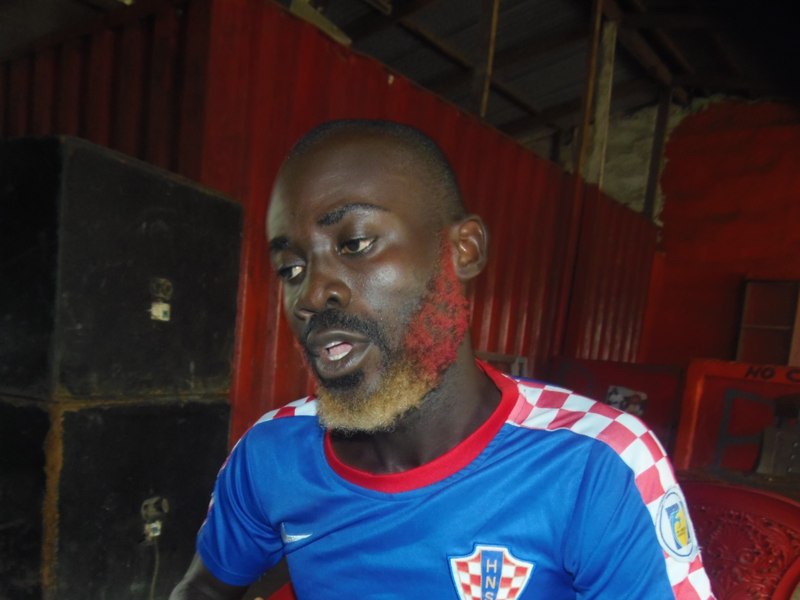 He said the arrest has made his team stronger and will not be deterred in spite of manhandling by police officer that resulted to his shirt ripping Sunday night.